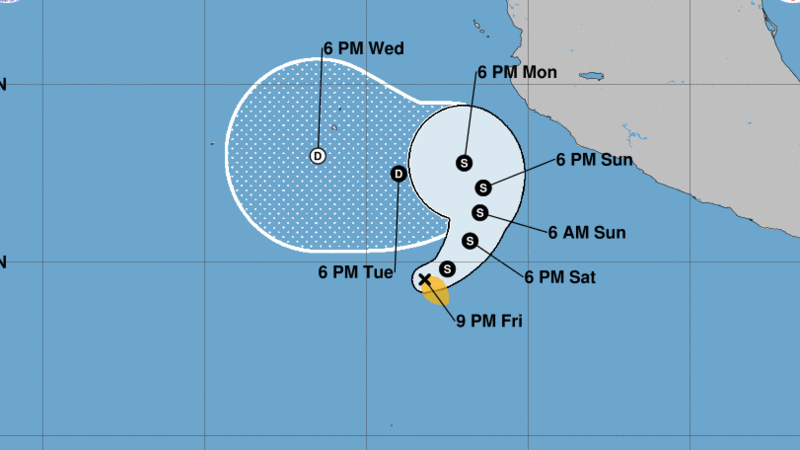 Tropical Storm Xavier has formed off the Pacific Coast of the Mexican State and is moving toward the east-northeast near 8 mph (13 km/h). A slower motion toward the northeast and then north is expected through the weekend, followed by a turn toward the northwest and west early next week. Maximum sustained winds have increased to near 40 mph (65 km/h) with higher gusts. Slight strengthening is forecast during the next day or two. Weakening is expected to begin by Monday with little chance of hurricane development. 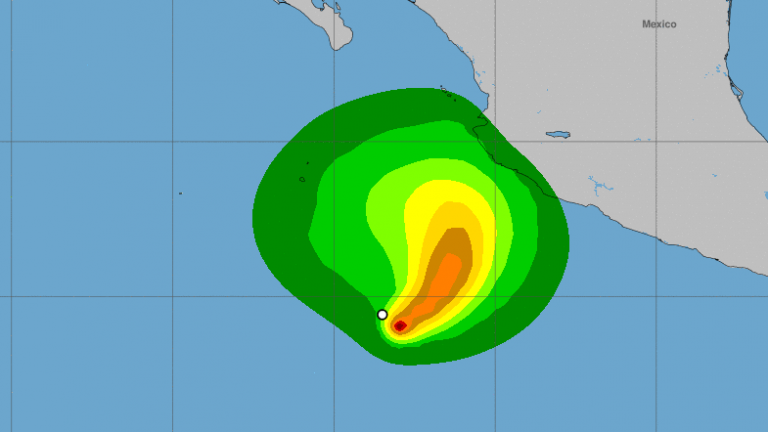 There are no coastal warnings issued associated with Tropical Storm Xavier, however, Xavier could bring some rains to the Jalisco coast on Monday before turning away from the Mexican coastline. The Pacific Hurricane Season will officially end on November 30 with two more storm names reserved for the season, Yolanda and Zeke.